How much do you know about medicine? What about plants? AND MAGIC?! 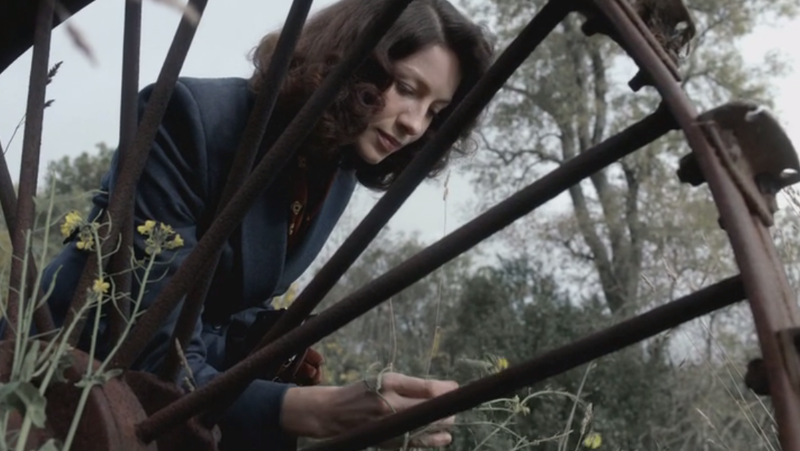 In the first episode of Outlander we learn that Claire is a war’s nurse but also her passion for botany. One of my favorite themes explored by the show is nature and especially nature used for medical purposes. When Claire travels back to 1743, she has to adapt to the medical possibilities offered by the time so, she combines her passion for botany and medical knowledge to help people. 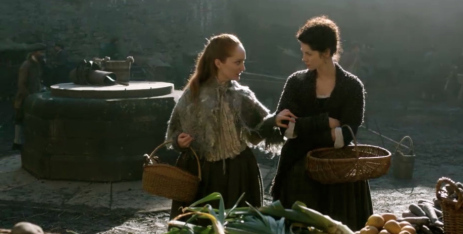 While watching Outlander I found really interesting all the plants, flowers and even vegetables that are used to treat illness. Some of them are said to have magical powers. So, I got curious and started researching the different uses of nature in the past compared to nowadays. There are tons of natural elements that we use/eat every day without being aware of their health benefits. In Italy instead of taking medicines sometimes we ask our grandmothers what kind of natural remedy they used to treat illness when they were younger, when medicine was not as developed as it is today. We call those remedies “grandma’s remedies.” It is amazing how many natural remedies exist which have been replaced by chemical drugs. I actually found that some of the plants and herbs Claire uses in Outlander are still used for medical purposes nowadays and their beneficial effects are not really a matter of magic but rather the natural elements they contain. Garlic – is often used by Claire for medical purposes. In the second episode she uses it to treat Jamie’s wounds at Castle Leoch. Garlic, in particular the fresh close or supplements made from the close, have been used over the years to prevent or treat a wide range of diseases and conditions. Learn more about it here. 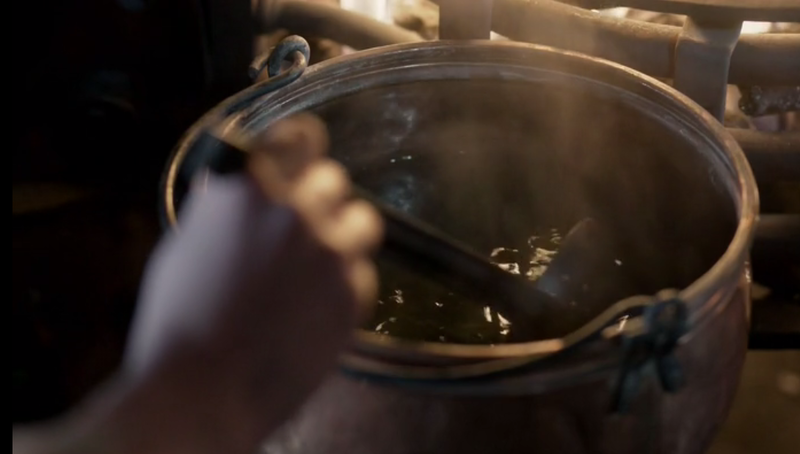 Witch Hazel – is another plant Claire uses to treat Jamie’s wounds at Castle Leoch in episode two. Nowadays, this plant is proved to be an anti-inflammatory and a component of many commercial products for healthcare. 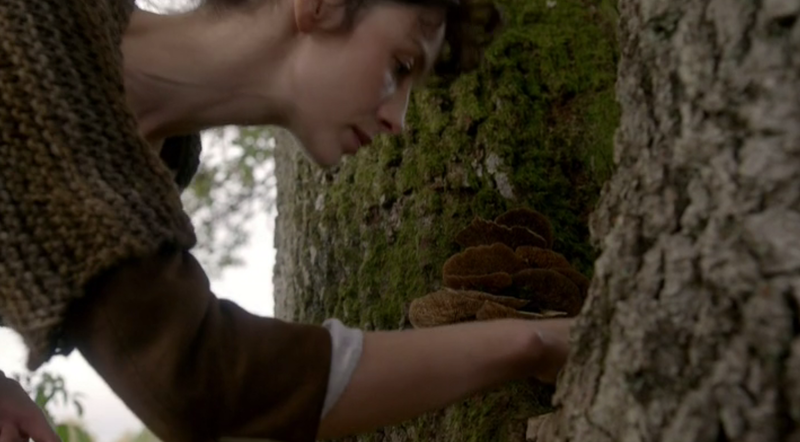 Ascaria mushrooms – Claire is picking up some of these mushrooms when she meets Geillis Duncan (episode two). There is no real evidence of them but it may be another name for muscaria mushrooms that seems to cause the same effects described on the show. According to Claire, the caps of the mushroom are very useful to stop the bleeding. Watercress – Jamie uses this aquatic plant to medicate the wounds on Claire’s back after he rescues her from the witch trial. Watercress has been proved to be useful to kill germs and treating many skin diseases. The father of medicine Hippocrates started using watercress for medical purposes which is something still common nowadays as you can read here or here. Cherries – Claire believes Geillis Duncan used crushed cherry stones to make cyanide in order to kill her husband. The stones of certain fruits like cherries, apricots, plums and peaches, contain cyanogenic compounds. Cyanide is extremely toxic so, when you eat them be careful not to swallow the stones because they are dangerous. Here is a list of more dangerous food. Celandine – When Claire is looking through Davie Beaton’s medical treatments in his surgery room, she discovers he used celandine as treatment for jaundice (Davie Beaton is the ex-healer of Castle Leoch). Nowadays, celandine is used to treat diseases such as asthma, toothache, stomach cancer etc. Also, the dried above-ground parts, root, and rhizome of this plant are used to make medicines. In the past it was common to use celandine to cleanse blood, cure jaundice and treat gallstones or indigestion. You can find more info here and here. Catnip & Coneflower – Claire uses these plants to treat fever. In medical terms, catnip was more used in the past. However, now it can be found in medicines to treat diseases such as insomnia, migraine, colds, flu, stomach pain, anxiety etc. Coneflower, like in the past, nowadays is very popular to fight the flu and colds. Mallow & Peppermint – used by Geillis Duncan to help her husband’s stomach issues. Nowadays, the flower and leaves of the Mallow are used to make medicines, specifically to treat irritation of the mouth and throat, dry cough, and bronchitis. But Mallow is also still used for stomach and bladder issues as well as to treat wounds. Peppermint is used for lots of things but mostly stomach pain and symptoms related to it like bloating. Yarrow – In the Outlander book this herb is used for disinfection. Nowadays, part of it is used to make medicines to fight fever, cold, stomach issue, loss of appetite etc. Sometimes people chew the leaves to fight toothache or apply it to the skin to stop specific cases of bleeding. Yarrow is also used to make salads and cosmetics like shampoos or cleansers. Nasturtiums – Claire gives the children, who had too many sweets at the Gathering, syrup made from Nasturtiums. Nowadays, this plant is mostly used for treating cough, bronchitis, urinary tract infections and mild muscle pain. Figs – they are used to make syrup to cure constipation. Nowadays, figs are still used to treat constipation because of their laxative effects but here is a list of 15 other health benefits of figs. Bloodwort – According to Geillis Duncan this plant will make warts grow on someone’s nose. Even though bloodwort contains oxalic acid, it can be removed by cooking it. The leaves can be cooked and used like spinach. Attention though! Be careful if you suffer from rheumatism, gout or arthritis because in that cause you cannot ingest them. Another thing you can do with bloodwort is an infusion to detoxify your body. There are several parts of this plant that can be used for different health purposes, check them out here! On this website you can find the complete list of all the natural elements and different uses, not only medical, mentioned in the book and on the show. There are a few other herbs and plants that Claire finds in Davie Beaton’s room used for medical purposes or to make magical potions. It is really interesting and entertaining, plus you learn a lot!